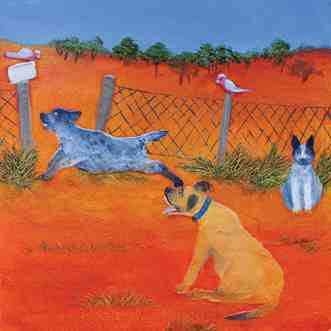 Another in the Yellow Dog series of paintings used to illustrate the book "Yellow Dog". Written by Lyndall Stavrou. This shows yellow dog winning a battle against a rottweiller that comes into the yard.